We invite you to discover one of Williamsburg’s hidden gems, The Oaks at Fenton Mill, a new construction custom home community. 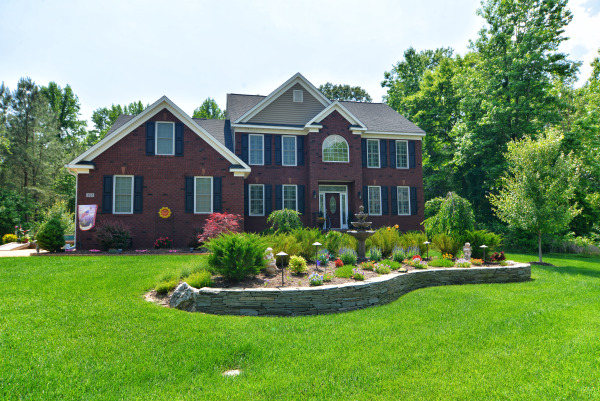 This neighborhood features a mix of large wooded and cleared lots and many family-focused amenities, all just minutes from Interstate 64. Located near the intersection of Virginia State Route 199 and Interstate 64, The Oaks at Fenton Mill is one of Williamsburg’s most conveniently located neighborhoods. This community’s close proximity to one of Virginia’s major interstates grants quick and easy access to local military bases and neighboring cities. Within two miles of The Oaks at Fenton Mill you can find Sentara Williamsburg Regional Medical Center, Lowes, Home Depot, Wal-Mart Supercenter, Great Wolf Lodge Resort, and much more! The Oaks at Fenton Mill is a picturesque neighborhood set in an undulating landscape, all surrounded by 40 acres of forest that will never be developed. This cozy neighborhood offers 82 oversized lots ranging from one-third of an acre to over one acre, each with at least 2-3 mature trees, some completely wooded. The entire neighborhood has rolled curb and gutter completing the polished look of the community. Wayne Harbin Builder, one of Williamsburg’s premier custom builders, is offering The Oaks at Fenton Mill 11 of their most popular floor plans, including several Southern Living plans, that can be customized to fit each individual family’s lifestyle and preferences. Every sought-after feature imaginable is available from this quality builder including basements, first-floor masters, bonus rooms, transitional floor plans, and more. With ranchers, two-story, and three-story homes available, there is something for everyone! The Oaks at Fenton Mill offers many amenities for the whole family to appreciate. Residents can observe the natural setting and wildlife on the one-mile walking trail that meanders around the neighborhood, or fish the two-acre pond from the elevated observation pier. There is also a soccer field, playground, and picnic pavilion to enjoy. Located in upper York County, The Oaks at Fenton Mill is in the well-regarded York County School District. Students in this neighborhood attend Waller Mill Elementary, Queens Lake Middle, and Bruton High School. This County also enjoys low taxes and low utility fees. At The Oaks at Fenton Mill, residents enjoy value, convenience and beauty. This unique, quality custom neighborhood is located in a peaceful, natural setting that’s only minutes away from all of the entertainment, culture, and convenience Williamsburg has to offer. 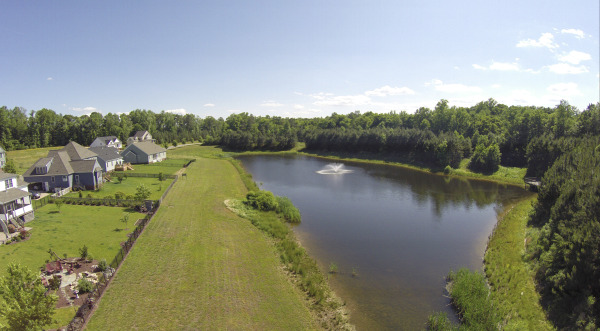 You can truly have it all at The Oaks at Fenton Mill. Come visit any Friday, Saturday or Sunday from 1 p.m. - 5 p.m. and let us help you create a home to fit your lifestyle. Are you looking for new homes for sale in Williamsburg? The Oaks at Fenton Mill has many affordable options surrounded by a beautiful setting. Click here to view the aerial video of this communtiy. Contact Liz Moore and Associates at TheOaksAtFentonMill@lizmoore.com or 757.645.4106, and we’ll put you in touch with one of our new homes experts who can point you in the right direction!